Chopper7HD flew over the Illinois River on Tuesday evening, where there are already signs of flooding. UTICA, Ill. (WLS) -- A mandatory evacuation has been issued for parts of Utica in north central Illinois. Officials said they are basing the decision on information from the Army Corps of Engineers and the potential for flooding on the Illinois River. 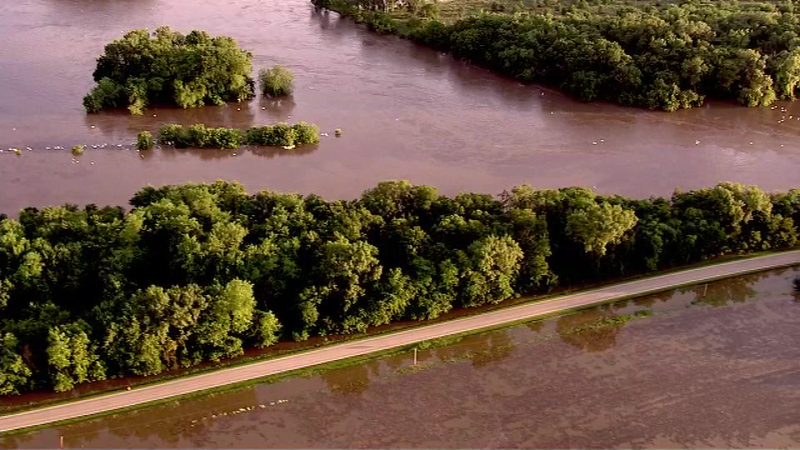 Chopper7HD flew over the river, where there are already signs of flooding - including some parts of Starved Rock. The river is expected to crest sometime on Wednesday, but there is concern that more rain this week could make things worse.